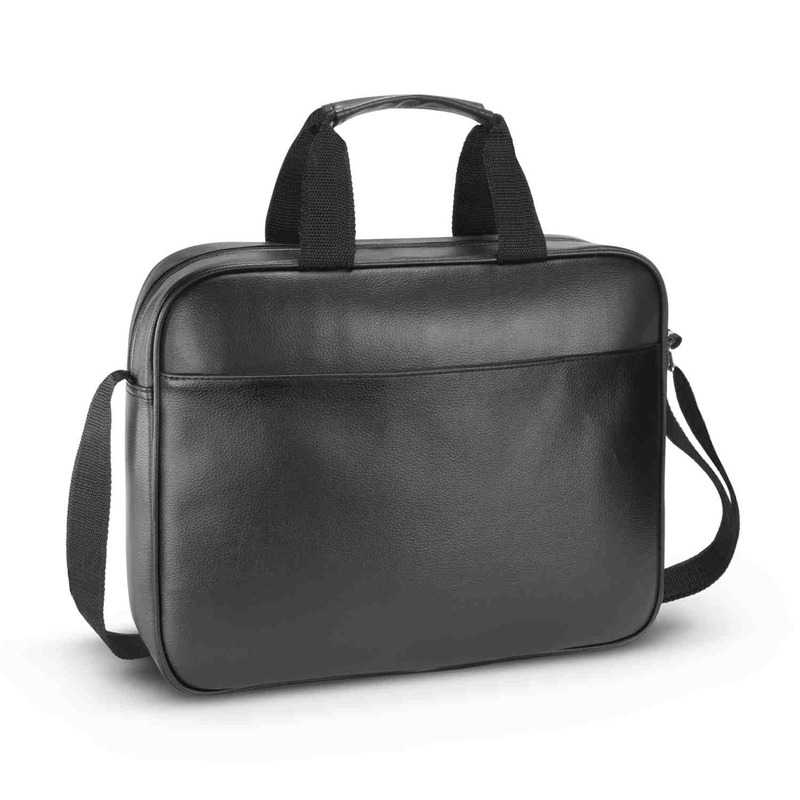 A poly-leather laptop bag with padded compartments for both your tablet and laptop. Transport your laptop in style with some of these sturdy laptop bags. They feature padded compartments for both laptop and tablet and is manufactured from highly durable poly-leather. It has a large zippered pocket on the front, woven carry handles with a Velcro cuff and an adjustable woven shoulder strap.